Sean* is a lawyer at Lenczner Slaght. Sean completed his law degree from the University of Western Ontario with Distinction. He was awarded the Dean Ivan C. Rand Award for academic standing and contributions in the service of students, and the Law Society of Upper Canada Prize for academic excellence. Sean speaks§ from a diverse professional and academic background. This includes time working in the privacy space, as a researcher, competing and coaching in a variety of moot court competitions, and serving as the Editor-in-Chief of the Western Journal of Legal Studies, where he published several volumes‡ with his experience and attention to detail. .
As a summer and articling student at the firm, Sean gained experience working on complex commercial and professional liability matters, and he continues to build a developing practice in a variety of areas. Sean graduated with distinction from Western Law where he was awarded the Dean Ivan C. Rand Award for academic standing and contributions in the service of students, and the Law Society of Upper Canada Prize for academic excellence. While at law school, Sean engaged in a variety of advocacy-focused endeavours. 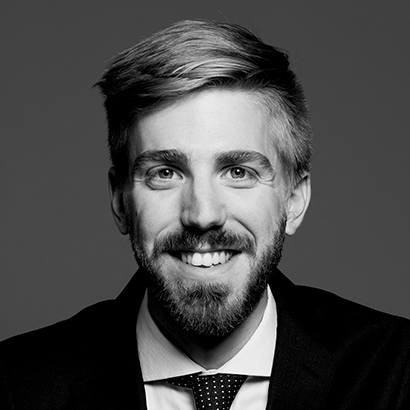 He was the co-chair of the Western Law Advocacy Committee, winner of the 2015 Ontario Trial Lawyers Association Moot, the Top Oralist at the 2016 Phillip C. Jessup International Moot Court Competition, and the coach of Western Law’s 2017 Jessup Cup team. In addition to mooting, Sean was the Editor-in-Chief of the Western Journal of Legal Studies. Prior to attending law school, Sean studied political science at York University and Western University. Sean has also worked in the privacy and advertising space. Intervened at the Supreme Court of Canada on behalf of the Canadian Civil Liberties Association on a case concerning sections 8 and 9 of the Charter of Rights and Freedoms.